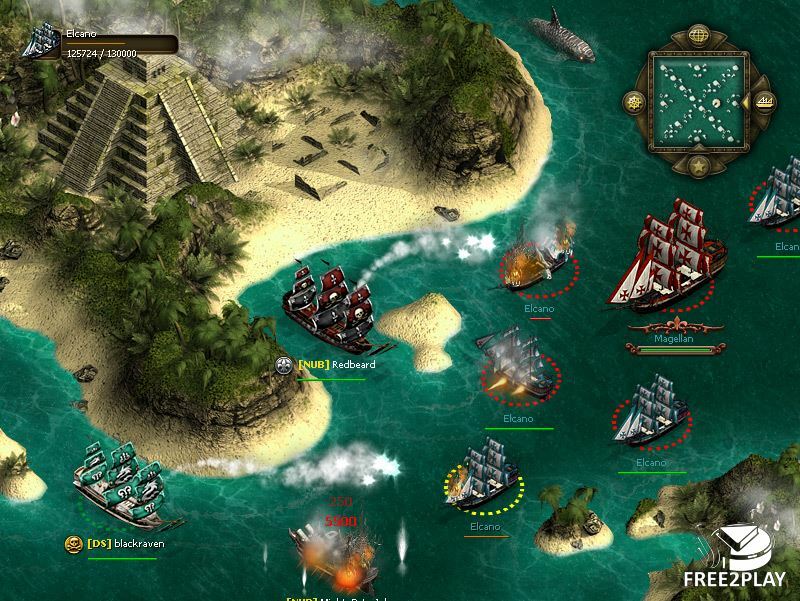 Seafight is a massive roleplaying game in which you take control of your very own ship and sail through 50 seas in a wide arrange of different environments, there are over 100 ship designs to play with as well. 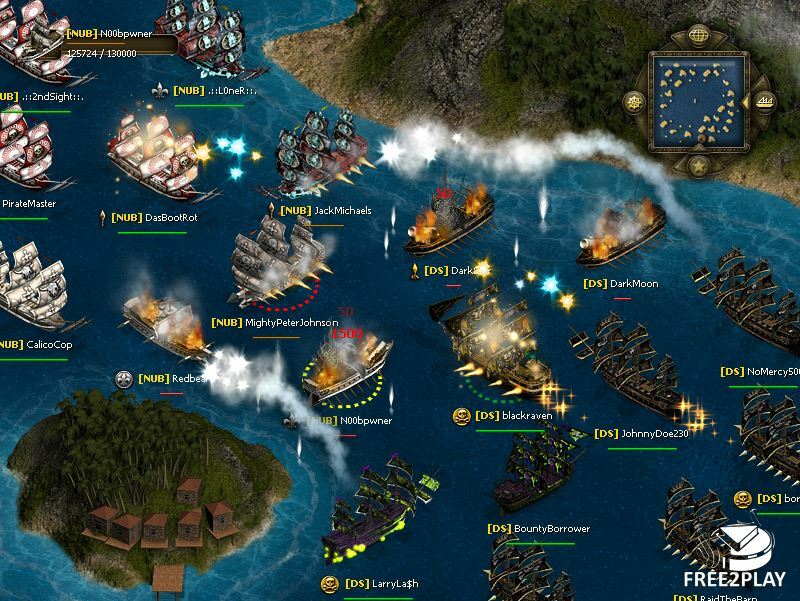 This action piracy game is easy and fun to play, since it has all elements you may expect from this type of title, levels, weapons, quests, pirates and other players to fight with. 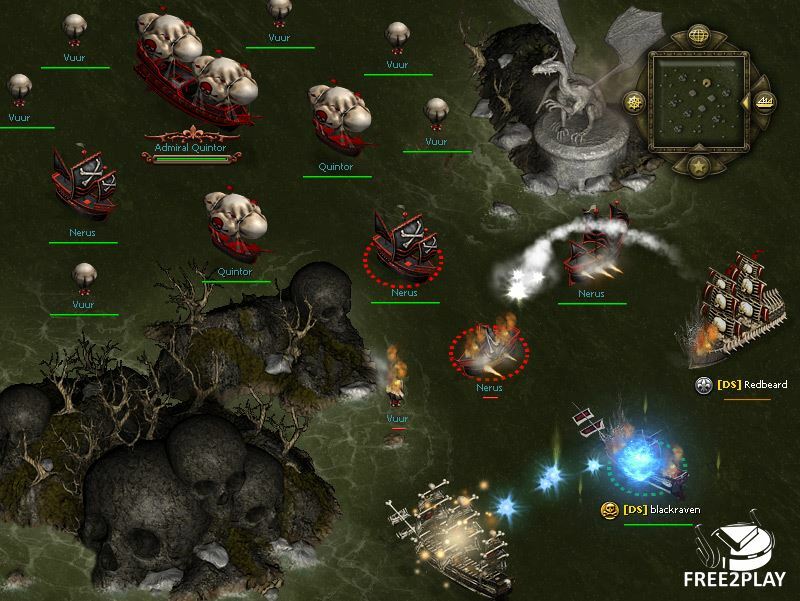 •	Common mmo rpg features such as levels, gear, quests and gold. Players can fight against pirates through PvE content, like sea monsters or defeat enemy players in huge PvP battles, players will earn gold, fame and glory no matter what they decide to focus on. The customization capabilities are pretty extensive, you can change ship's hold, crew, castle and weapons along with all equipment you have on board, every single decision will affect ship's stats and therefore the outcome of next battles. 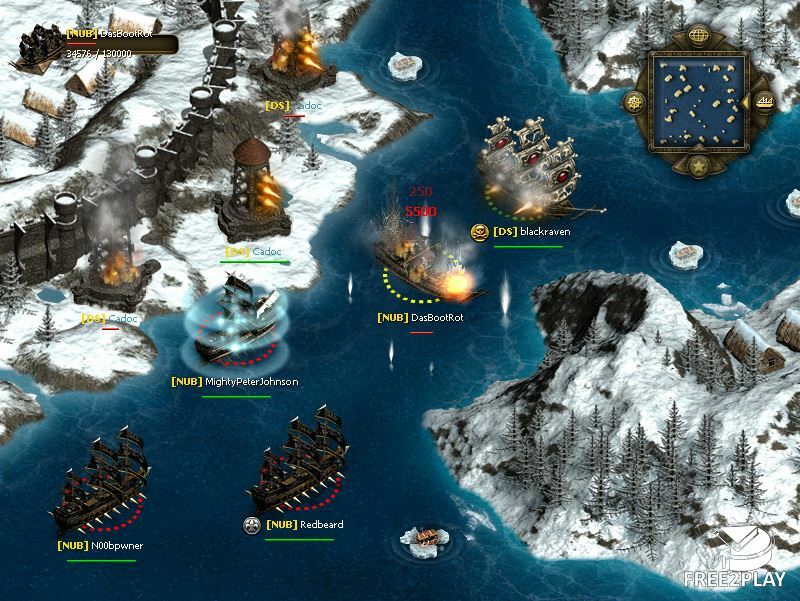 Players can create their own guilds or join an existing one, once in a guild, players can try to conquest an island which would then be considered their base. Although pirates are usually away pirating, raiding and looting, it's always wise to put some defences on the guild base to protect it in case of attack, there are of course several options when it comes to build structures in the island.